Capsicum baccatum. Hot. 65 days green, 80 days red. 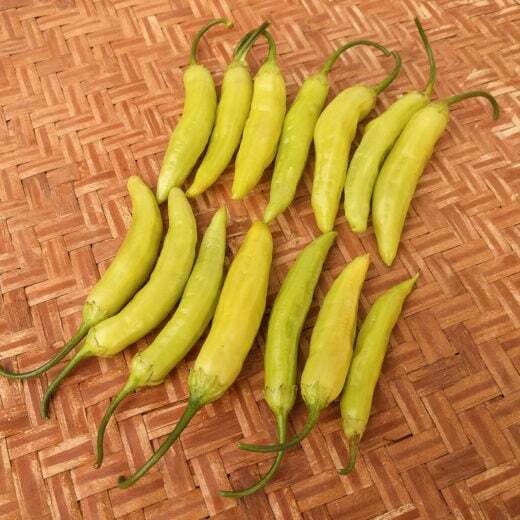 A very rare, northern adapted C. baccatum species of hot pepper. 3″ long, waxy-yellow fruit ripen to a classic orange-red. 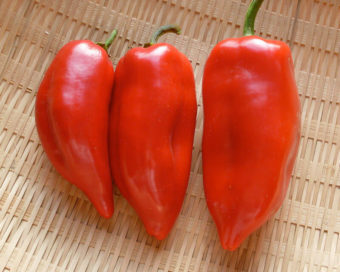 Aji Marchant is usually harvested under- ripe when still green and is used for pickling. The immature peppers are especially flavorful with a unique earthy-citrus bite that is not overly spicy. 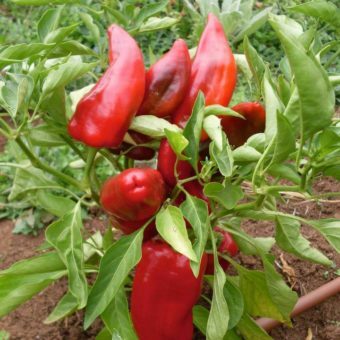 An excellent frying pepper at all levels of ripeness, they also make tasty dried pepper flakes after ripening to a bright red. Aji Marchant has the tantalizing history of being used in some of the Italian wax pepper pickles made by the California canning industry during the early and mid-1900s. Known by many different brand names, our variety came to us with the name Marchant. The story goes that Chilean immigrants brought these seeds with them when they moved to California during the 1849 gold rush. 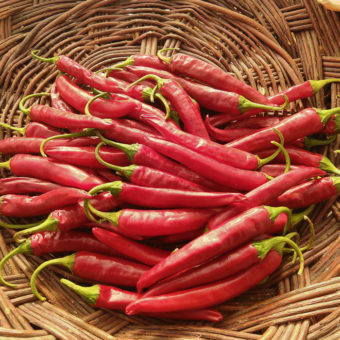 Also known as Chileno peppers, they quickly became a favorite in northern California and the Central Valley. At the time, northern California was a cultural melting pot and soon Italian immigrants adopted the peppers and renamed them Italian Wax. They were canned and sold by many names including: Marchant, Sierra Nevada Chileno, Lone Pine Peppers, Vallecito Peppers, and California Italian Wax peppers. It is unclear if these are synonyms or genetically distinct yet related varieties. Now rare, Aji Marchant is only grown by a few farms and gardeners in the Central Valley of California, the Sierra Nevada foothills, and the San Francisco Bay area. We are happy to reintroduce the seed commercially in hopes of preserving it for future generations. For more history check out: italianwax.com. 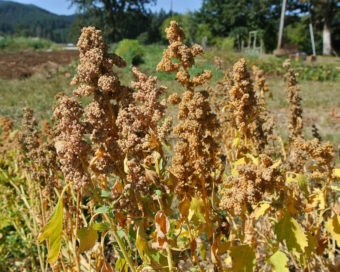 Our seed stock came from Cort Richer of Dexter, Oregon. Such a precious gift, thank you!